Georgia Behrens reports on growing tensions between unions and the university. Staff unions have entered into a formal dispute with the University of Sydney over proposed changes to the university library system. Both the National Tertiary Education Union (NTEU) and Community & Public Sector Union (CPSU) lodged formal disputes on Friday, claiming that university management had failed to comply with obligations to staff in its management of various library reforms. The proposed reforms, first reported by Honi last Monday, include plans to convert two satellite campus libraries into “self-access” libraries without permanent staff, and to adapt the Badham and Medical Libraries into postgraduate-only study facilities. The Draft Change Proposal also suggests modifications to the university library staffing structure, with fewer generalist positions and a greater number of specialist, technical, and managerial staff. Since the publication of the proposal in February, the CPSU and NTEU have stated their frustration at the “inadequate” levels of consultation they believe to have taken place between staff and the university. Prior to lodging the formal dispute, USyd’s CPSU Branch President Grant Wheeler said that library staff had been kept in the dark about how the changes would affect their employment. “We don’t know how many staff will be retained, and how many could be made redundant. We don’t know what sort of retraining staff will have to undergo. We don’t know what sort of jobs people will be required to do once all these changes have been made,” he said. Wheeler said the unions were formally entering dispute in the hope of getting more detailed information about the university’s plans and the potential impact they would have on staff. The university has insisted that these changes will not necessarily result in a reduction of overall numbers of permanent staff, but has conceded that some are likely to take voluntary redundancies in light of changes to their job descriptions. “We’re anticipating that most of our changed needs can be met by re-distributing current staff and resources. We will be doing all we can to help our staff re-train and re-settle themselves in new positions if necessary,” university librarian Anne Bell said. Wheeler said that morale remained extremely low amongst library staff despite these assurances. “We all just have a huge cloud of uncertainty constantly hanging over our heads at the moment. Most staff have very little faith in the University to go about managing these changes in the right way for them,” he said. The reforms have been proposed by Bell to address slipping performance standards and “inherent diseconomies of scale” within the current system. 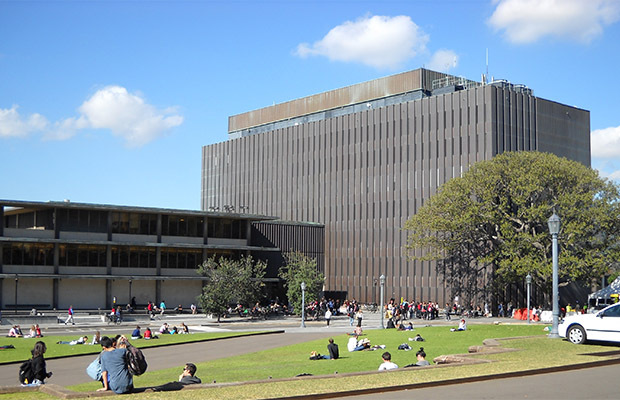 According to data from the Council of Australian University Librarians, the overall performance of USyd libraries relative to their Australian and New Zealand counterparts has drastically declined in the past 20 years. A recent survey of students’ perceptions of their university libraries placed USyd in the lowest quartile in four out of the five areas covered. This the latest in a number of reforms the university has proposed in the past few decades in an effort to rationalise the delivery of library services. In 2011, Fisher Library removed almost 500,000 books and journals from its collection to make way for more student study spaces. Since 1990, more than ten university libraries have been closed and had their collections redistributed. Bell said that, while there were currently no plans in place to close any further libraries, “nothing is ruled in, and nothing is ruled out”.